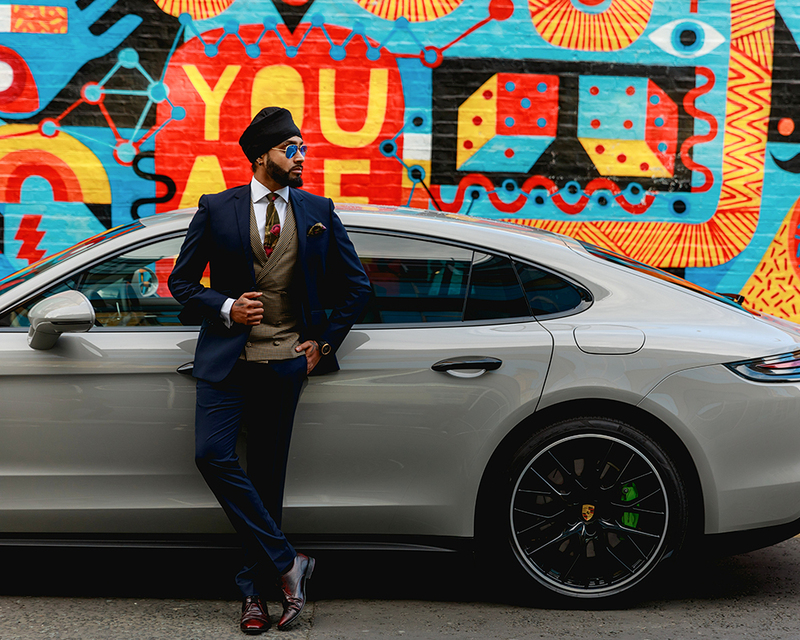 Asian Wealth Mag jumps into the all new Porsche Panamera to explore the automotive technology with world renowned artist and former cover star Amandeep Singh a.k.a. 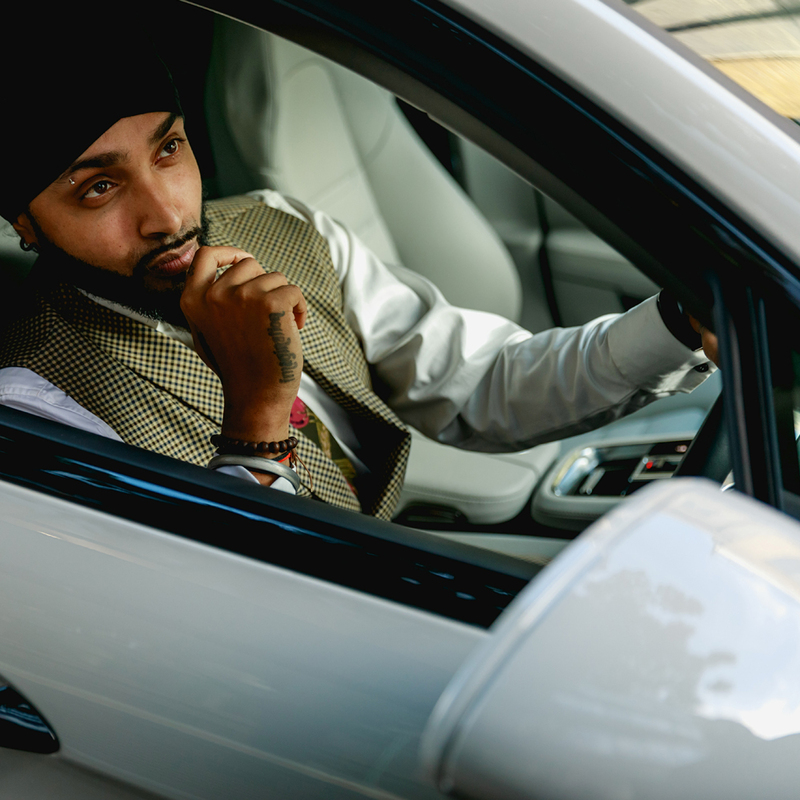 INKquisitive. 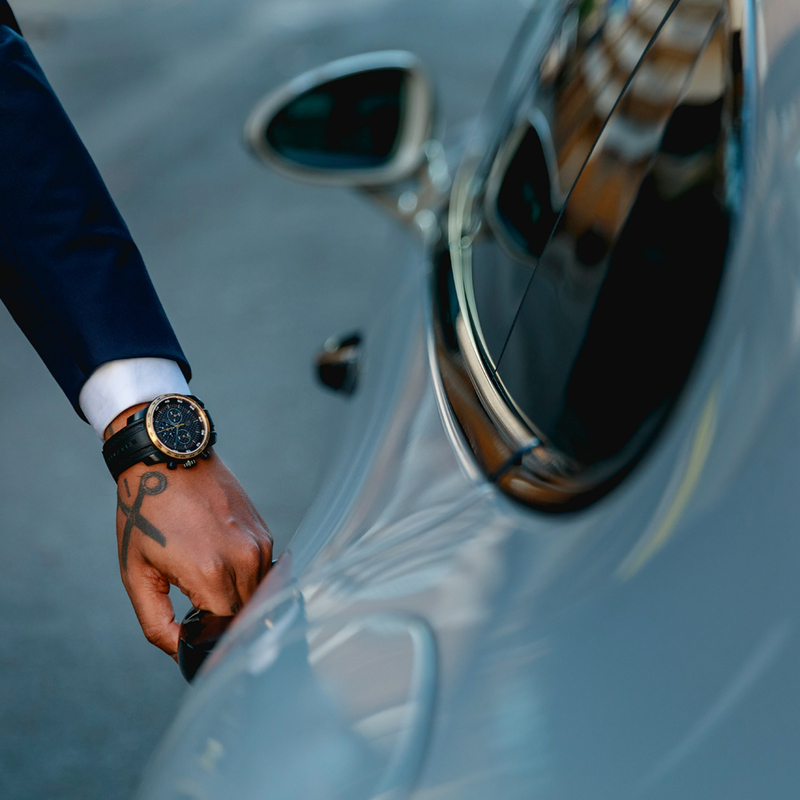 There’s a clear difference between supercars and luxury cars, but in the changing world we live our demands and expectations are constantly moving and steadily rising. By this I mean we now want the space and design of a comfortable luxury vehicle, with the looks and power of a pedigree supercar. Very few companies can get this right. 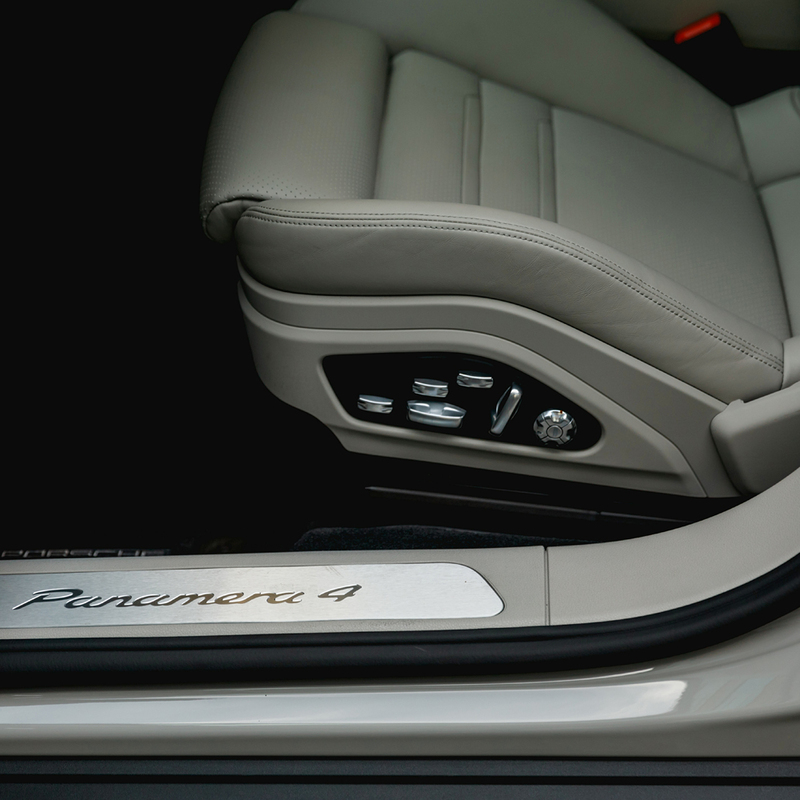 Enter the 2017 Porsche Panamera. 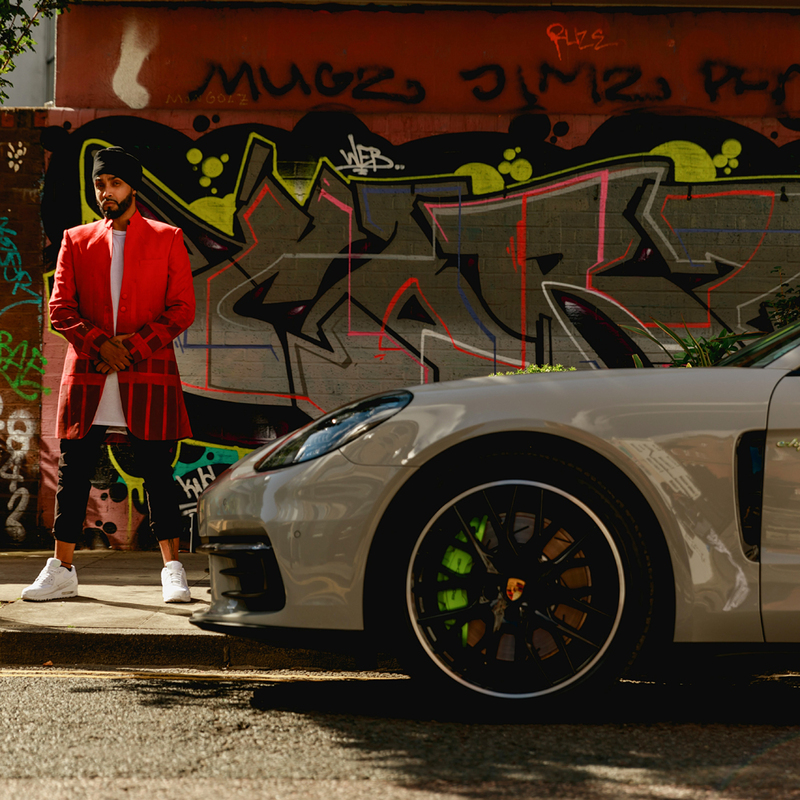 We invited our friend and luxury car fan illustrative artist INKquisitive (known to his friends as INK) to take us on a ride around London and give us his thoughts on the new hybrid beast. 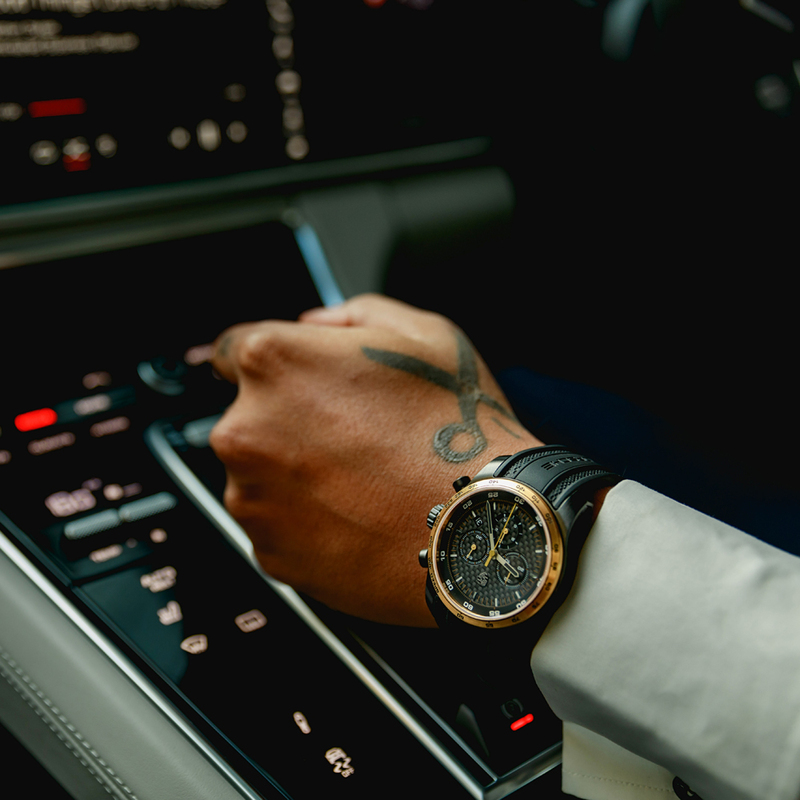 Already a luxury car owner we wanted to find out INK’s thoughts on this new type of luxury hybrid machine which collides the two worlds of luxury and super car. So, first impressions. What do you think of the overall look and design? What stands out for me is the colour and as an artist that intrigues me as it’s so different. It’s not white or eggshell and it’s not grey, it’s somewhere in the middle which I love. 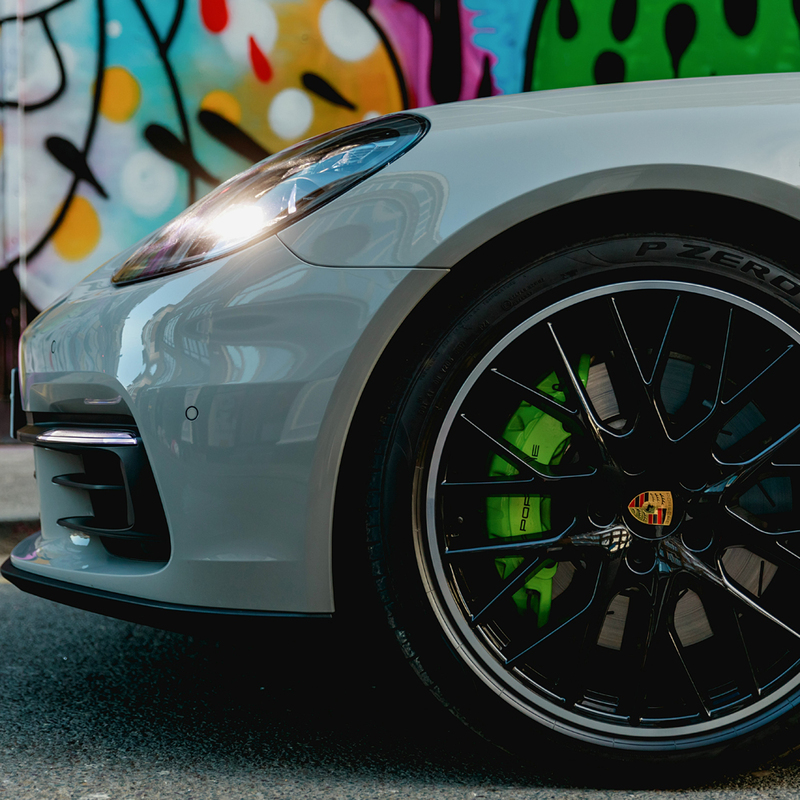 To add to this, I love the splashes of lime green on the brake calipers and other places on the car. 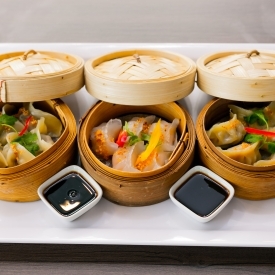 They’re discreet enough to not scream ‘look at me’, but just enough so you can admire them when you look closely. 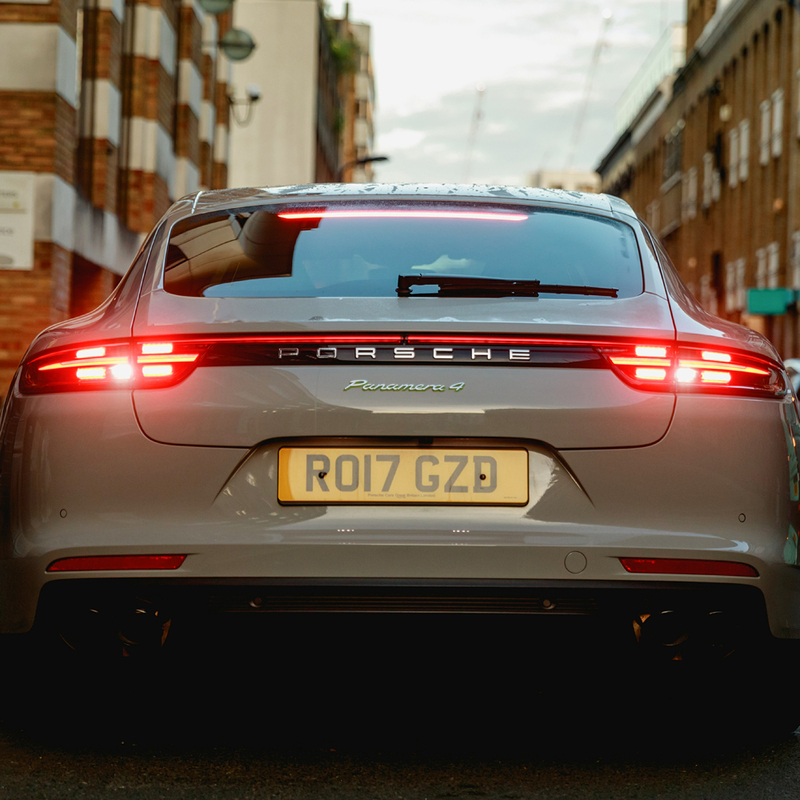 The car itself looks amazing although I’m sure it’s something which may need to grow on some people if they’re not already familiar with the Panamera. However, I don’t see it taking too long to become closely acquainted with a car like this that has so much to offer. 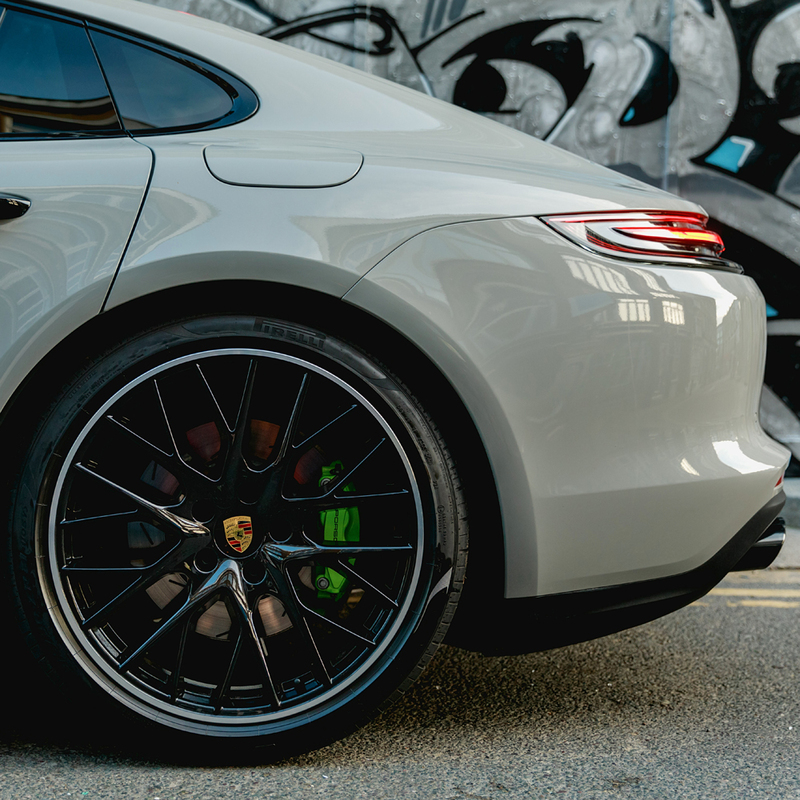 It has the trademark definitions of classic Porsche especially on the back half, but also has clean elegant lines which carry through its extended body to make it all work beautifully. 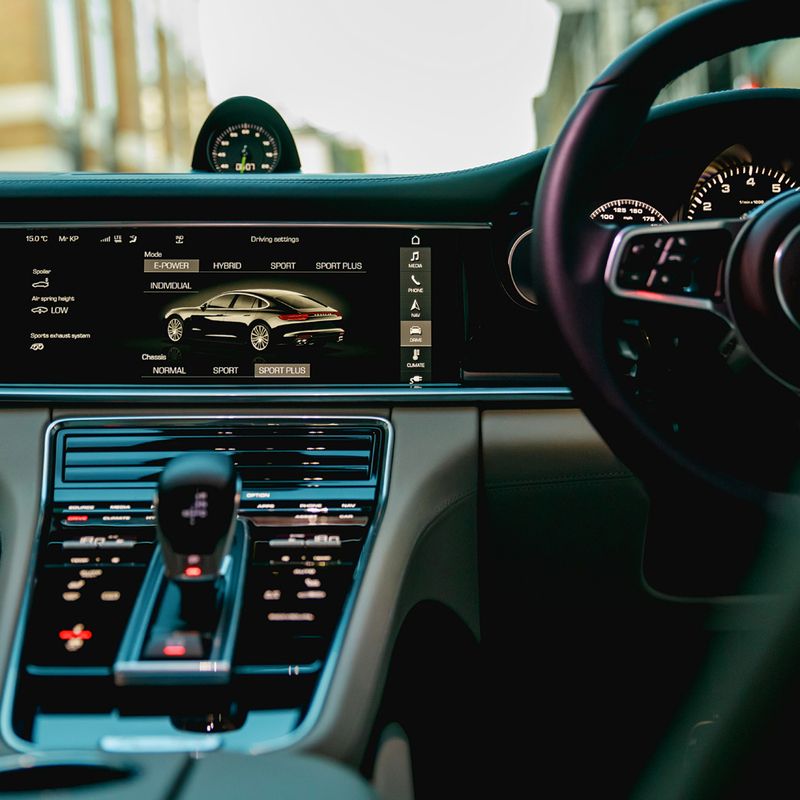 Panamera has changed the whole look and feel of the interior, what’s your thoughts? 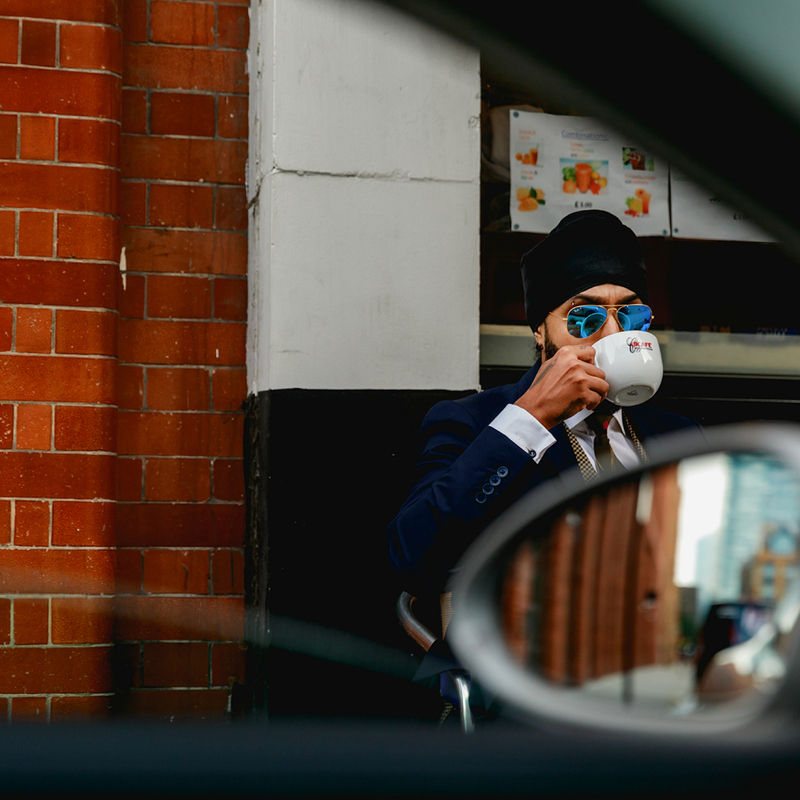 When you get in the driver’s seat, it’s like stepping into the cockpit of a plane. There are so many buttons and handles it’s like a chocolate-loving kid stepping inside Willy Wonka’s factory. 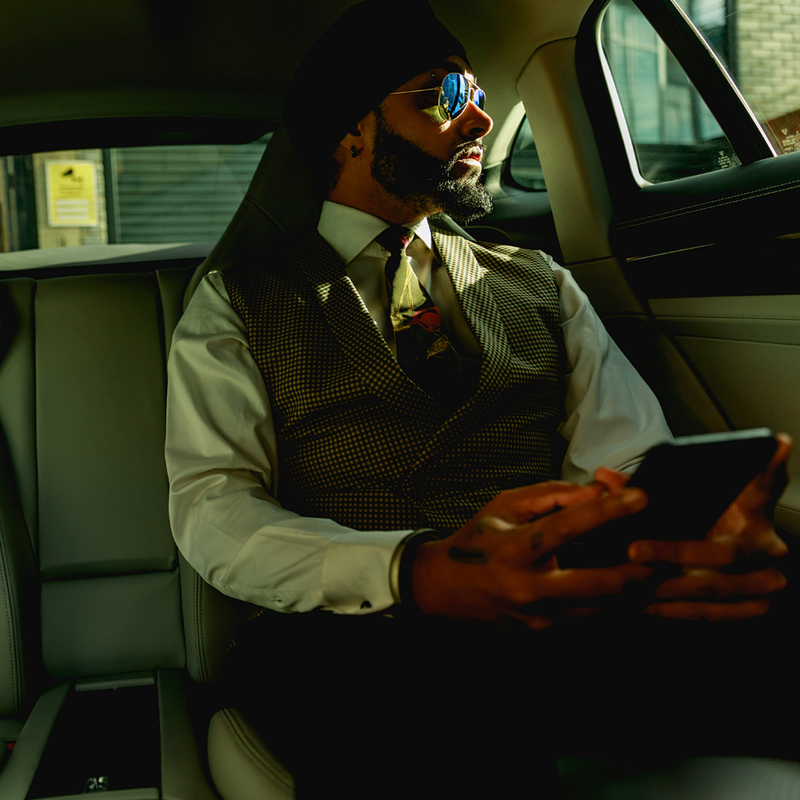 Before I did anything, I took a few minutes to just gaze and take in the splendour of the interior, and familiarise myself with the controls. I won’t lie, I spent a little time just playing around on that monster of a screen which screams ‘welcome to the new world’. Tell us about the drive, how did it feel? 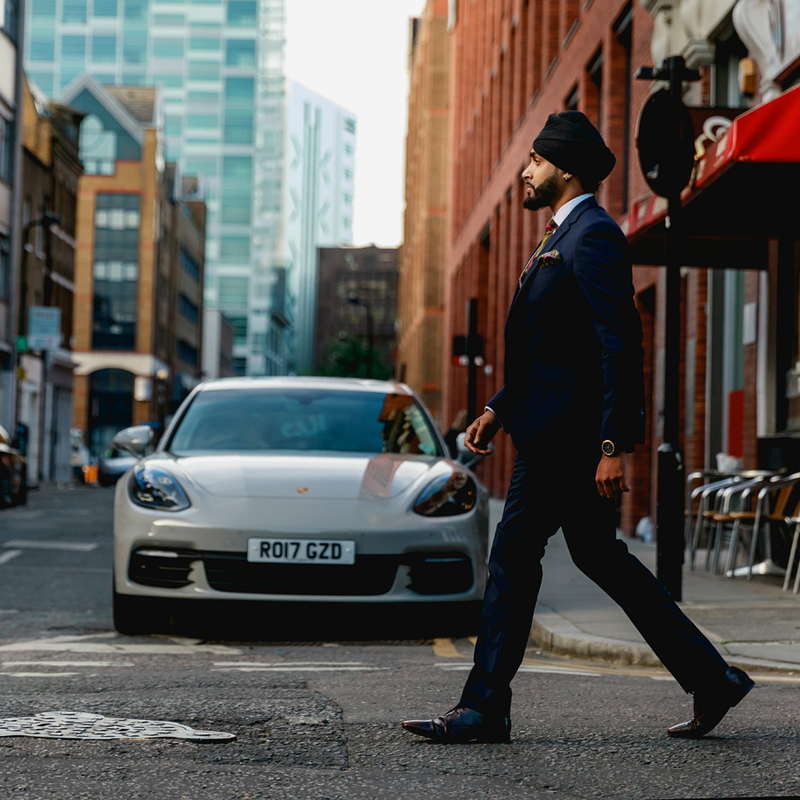 I couldn’t really test the car’s full potential as we were in the small, busy streets of London, but each time I put my foot on the accelerator I could feel the vibration of unprecedented power up my leg. You could tell there was something very powerful about this machine. Even with all that power, the handling and control is beautiful. 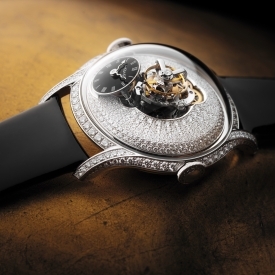 You can see that Porsche has taken as much care of the things that you can see, and the things you can’t. Everything you need is in close range so don’t even need to extend your arm fully to change a setting and that’s surprising for a car of this size. 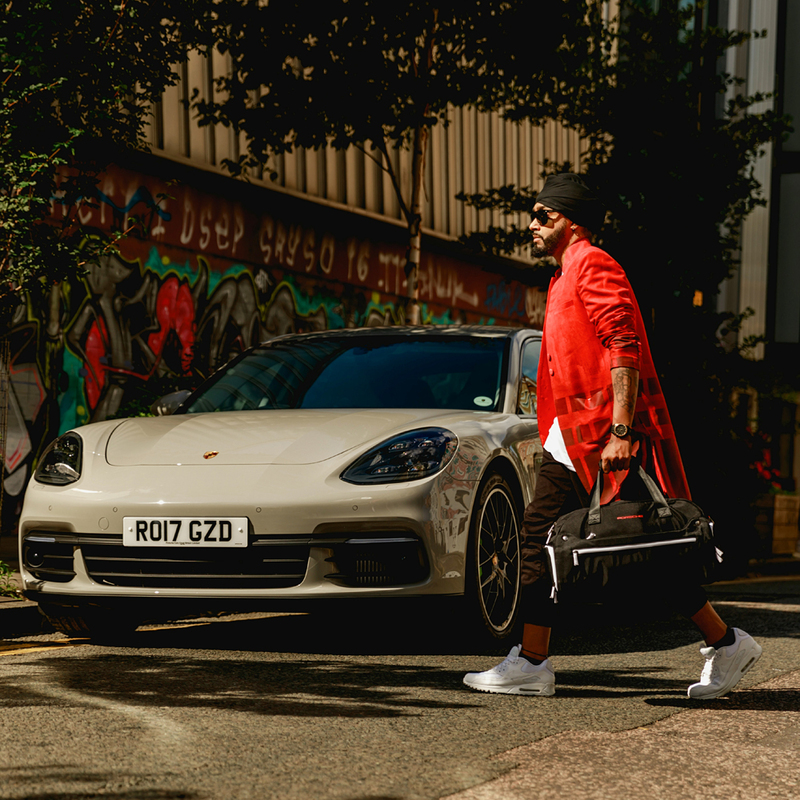 I think Porsche has got the balance just right between supercar and luxury. 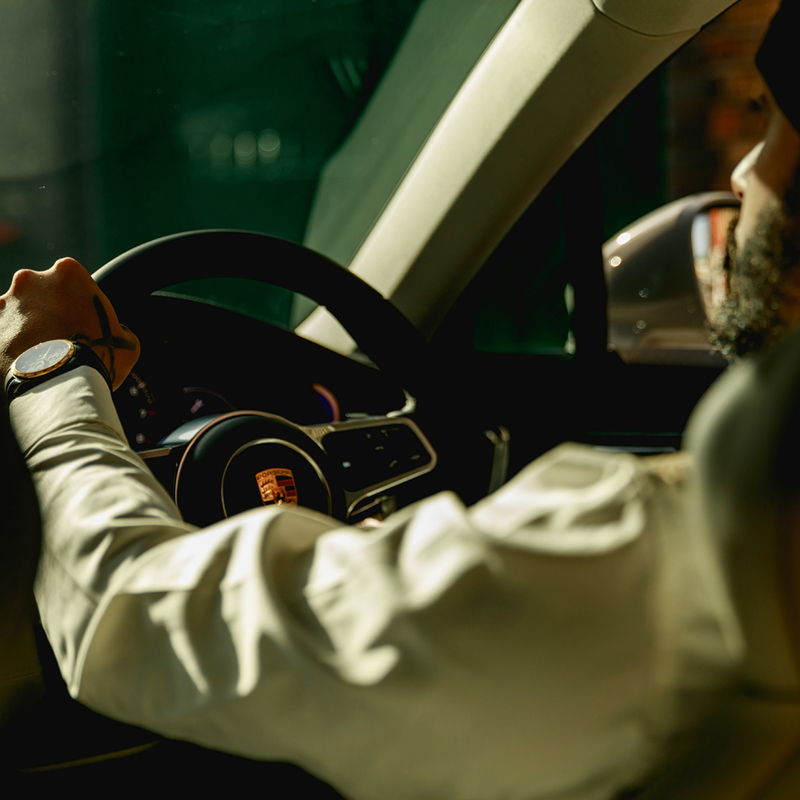 Whether you are the driver or a passenger, you can feel the power of the car and at the same time enjoy the splendour and comfort the new Panamera has to offer. I must say, Porsche has a new fan. Where do it sign up?